30 "boxes" are to be placed at appropriate points along the whole walkway at Høvikodden. The landscape project 50-50-50 has been initiated by Bærum Pictorial Artists (BKIB) in collaboration with the Henie Onstad Art Centre. All professional visual and handicraft artists in Bærum are invited to participate in the project, whose venue is a 1.5 kilometre long walk. 30 "boxes" are to be placed at appropriate points along the whole walkway at Høvikodden, starting from Solvik Home for the Elderly and continuing along the coastal path around the Art Centre and down to the Veritas Park. The boxes measure 50-50-50 cm and are made of concrete, topped with reinforced plexiglas. 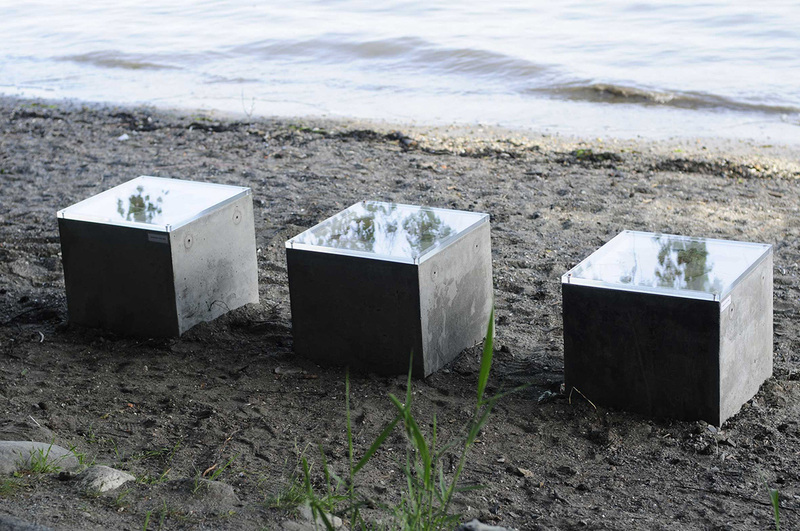 A jury consisting of the artists Ulf Nilsen and Barbara Czapran and a representative from the Henie Onstad Art Centre will select 30 of the submitted works to fill the boxes, which will be positioned in groups at appropriate locations along the path. Where possible, and depending on the terrain, the boxes can be partly sunk into the ground so that passers-by can look down at the contents. It is the Art Centre's intention that 50-50-50 will lead to a more active use of its surroundings; the project will create an unusual art experience that will enable walkers at Høvikodden to enjoy art along their way. A catalogue with a guide map and a presentation of each artist is available free of charge at the reception desk of the Henie Onstad Art Centre. In addition, information boards will be located along the route. This project has been realised with financial support from Bærum Municipality and Det Norske Veritas. The jury thanks BKiB for entrusting us with the task of appraising so many exciting projects. A total of 80 proposals and sketches were submitted and from these, we have selected 30 entries by 14 artists. The process of selection was carried out during one long day of discussions at the Henie Onstad Art Centre. It is always difficult to choose winners for a project, when the entries consist of ideas in the form of sketches. Should we keep to one theme or age group, or should we try to present a cross section of the submitted proposals? Should we dare to invest in projects whose final form is as yet an unknown quantity? Appraising project sketches is a question of trust, both as regards the jury's belief in the ability of the artists and on the part of the artists themselves, who allow the jury to judge their proposal while it is still in a vulnerable process of development. We have chosen to include both established and new artists and have made efforts to localise their works in the landscape in such a way that exciting relationships arise between them. Some of the artists have been encouraged to develop their submitted proposals further. Taken as a whole, the works by the chosen 14 artists will present a wide range of visual, literary, challenging and beautiful works of art. The participating artists are of different ages, come from varying backgrounds and have different educations and types of professional experience. 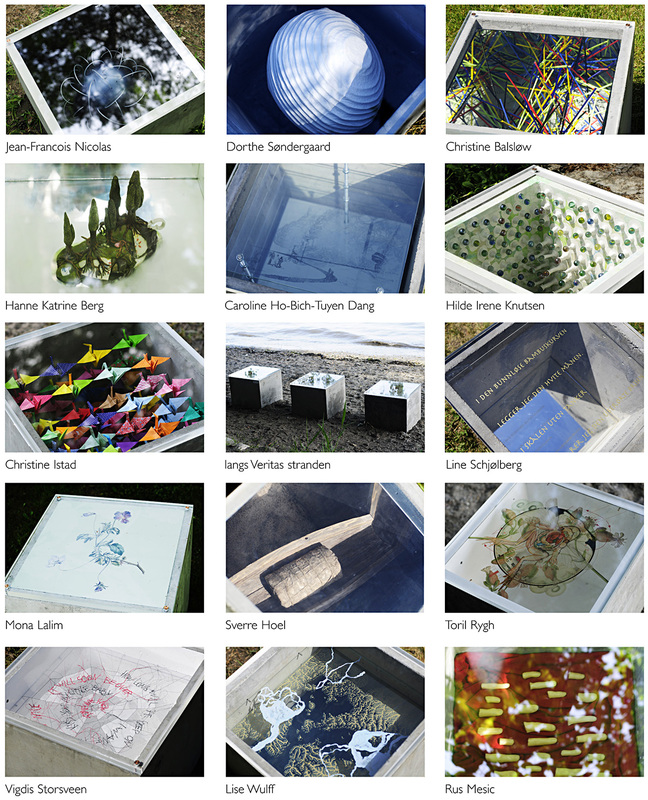 We hope the public thorougly enjoys the art along the coastal path at Høvikodden this summer. Tone Hansen, curator at the Henie Onstad Art Centre , Ulf Nilsen and Barbara Czapran, artist.